I am Kenneth M. Phillips, an attorney and a writer. I am the author of Dog Bite Law (this website) and a number of other things that I will tell you about. My entire law practice is limited to representing dog bite victims and the families of people killed by dogs. I can't put a nose or cheek back on, but I can get all of the bills paid for the cosmetic surgery that health insurance won't pay for. And I can do even more than that. It's tough work even for a lawyer, because the liability insurance industry compensates insurance fewer than one percent of all victims in the USA. But this is the work that I love to do. I started in entertainment law. I was one of the lawyers for the original Star Wars movie! Then my law partner and I helped put together the first Rambo movie. But right about the same time, my cousin got his hand caught in a printing press and his hand was permanently damaged. It happened at his high school. The printing press had broken and the teacher decided to remove the hand guards, rather than fix them. A horrible and stupid mistake! My mom and dad said, "he's your cousin, you be his lawyer." I was about 27, I had only a few cases, and so I said "well, okay." For three weeks I sat in the law library and read about bodily injury law. Then I filed a case for him against the school district. It was my first bodily injury case. I got him a record amount...without having to go to trial. It helped him because, against my advice, he invested his money into a start-up company. It was called Apple. And it helped me too. His doctors started referring hand injury cases to me, and my career changed paths. About 10 years later, a friend of a friend was at a Christmas dinner party, and the host's dog jumped up, ripped off her nose and ate it. I heard about it and said I could be her lawyer. A few months later, two pit bulls just about chewed off an older woman's leg, and she asked me to represent her because someone told her that I was a good lawyer who was doing serious dog bite cases. I agreed to help her too. I ended up getting very, very high settlements for these two women, without going to trial. It boggled my mind. But the strangest thing was that no attorney had ever identified dog bite law as being a separate field. 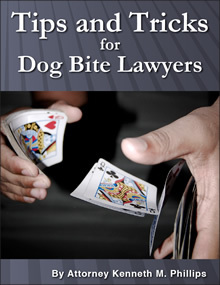 Lawyers who did auto accidents, slip and fall cases, and things like that were also doing dog bite cases. They were doing drunk driving, divorce, bankruptcy, wills, etc., etc., and "also" dog bites. There was no thorough study of the law of dog bites, no critical examination of its principles and its shortcomings, because nobody was taking it seriously. In fact, nobody was talking about the dog bite epidemic itself. The CDC had just released its one and only study, which established that there were 4.7 million dog bites per year in the USA! And then it was another Christmas. I was celebrating at the home of an in-law, and his dog suddenly bit his 6-year-old daughter in the face. I felt terrible. I felt like I knew all about a hidden danger, but was doing nothing to protect people from it, like everyone else. I saw that kids were being told only that dogs were our furry friends, without being trained in dog safety. To confirm my impression, I went to a big store for teachers and I asked the sales staff to show me the stuff that was used to teach kids how to be safe around dogs, and they said nothing like that existed. In a child's entire education, they did not spend even 5 minutes telling him or her about dog safety. And dog bites were near the top of the list of how kids were getting injured! I said to myself, I have to tell people about this. I have to let people know that there is another side to owning a dog, namely the responsibility to keep others from getting hurt. I have to tell parents that their kids need to learn what to do and not do around dogs, to keep them safe. In 1997, the Internet wasn't much. 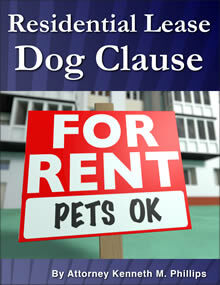 I learned how to created a web site and I called it "Dog Bite Law." I invited people to email their questions, and said I would give advice for free. The email started coming in. It has never stopped. I made up the term, "dog bite law." I announced there was a "dog bite epidemic" and I put together all of the facts and figures that proved it. I went on TV and talked about it. When they asked me why there was a problem, I put it into three words: "irresponsible dog owners." You've heard all of these terms many times since then, probably. They originally were my words in the 1990's. In 1999 an investigative journalist found out about me. He started interviewing lawyers from insurance companies. 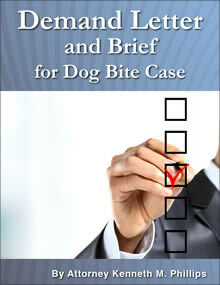 He found my cases and my clients, and started interviewing them. All behind my back. When I found out, it was too late. He said he had written most of the story, and now he wanted to spend a day with me and see what I do, where I work, where I live. I was terrified of him, so I said yes. He wrote the article and it won a first place award in journalism that year. In it, he said, among other things, that I was "the king of the dog bite universe." It was very complimentary. They heard about it at People Magazine and featured me in an article called "Biting Back." The Today Show did a 5-minute interview of me. After that, MS-NBC ran the interview for one year, because it was both informative and entertaining. (You can see it by clicking here and selecting the first video.) I started appearing on all the news networks like CNN, MSNBC and FOX NEWS, and the regular channels like ABC, CBS, and NBC. One day I was on 16 news different news shows, which might have been a record for a lawyer. Other articles were written. My law practice grew. The website got more visitors, and now has 1 million per year. I like representing children. I will take any case in which a child or adult is bitten on the face (whether it appears serious or not, because it always is serious when it is the face), or has a serious dog bite injury to a hand (like my cousin), or was bitten anywhere else and has a serious physical or mental disability because of it. I lecture to other lawyers all over the country. There's a video of my seminar that they buy, in which I tell them "tips and tricks" about handling dog bite cases. I also lecture to canine professionals, trying to help them to ethically and legally run their businesses -- and to convince them to not allow vicious dogs to be recirculated to unsuspecting families. There is another video that has my seminar and important legal documents that are intended to keep them and their communities safe. 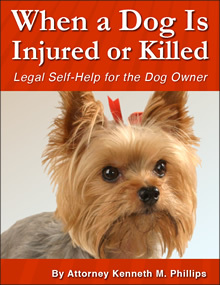 I wrote a legal self-help book for dog owners whose dogs are injured or killed, to let them know what their rights and responsibilities are. 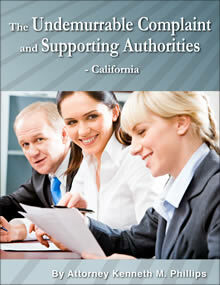 I mentor other attorneys. 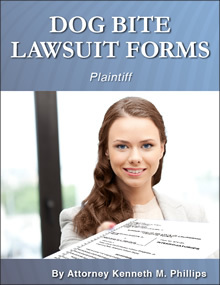 They also buy my legal forms and templates so they can handle their dog bite cases in a cutting-edge way, profiting from my experience, and winning them with great efficiency like I do. Since I travel so much, because my cases are all over the USA, I developed a way to practice law entirely in a "private cloud." I have been doing this since 2005, which is long before the term "cloud computing" was popularized. It's secure and extraordinarily efficient. 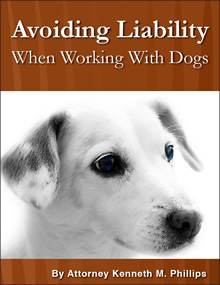 I have developed strategies to avoid ruining the relationships between a dog bite victim and the dog owners, who usually are friends, family members or neighbors. People who I have represented have written about how well my strategies worked. 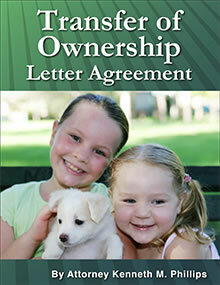 I have drafted laws on the state and local level pertaining to the responsibilities of dog ownership. My writings appear in other people's court cases, and in legal journals and books. I am very happy representing dog bite victims. The children who are my clients usually end up with annuities that will pay some or all of their college education, plus their medical bills. 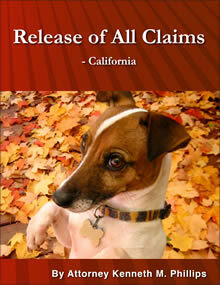 I have never been sued or accused of malpractice or a breach of ethics. I have earned tens of millions of dollars for my clients. On the personal side, I am happily married to Katy Franco. She's an actress and stand-up comic. She's also a breast cancer survivor. We wrote a book called Chemorella together, and it's truly the most meaningful Cinderella story ever. A happy home-life enables a person to reach his or her full potential; a bad personal life is always a hindrance. I'm lucky to have gotten the personal side of my life right, and it helps me to be a better lawyer for my clients. I have been a lawyer since 1976 and I hope to continue doing this work for a long time!